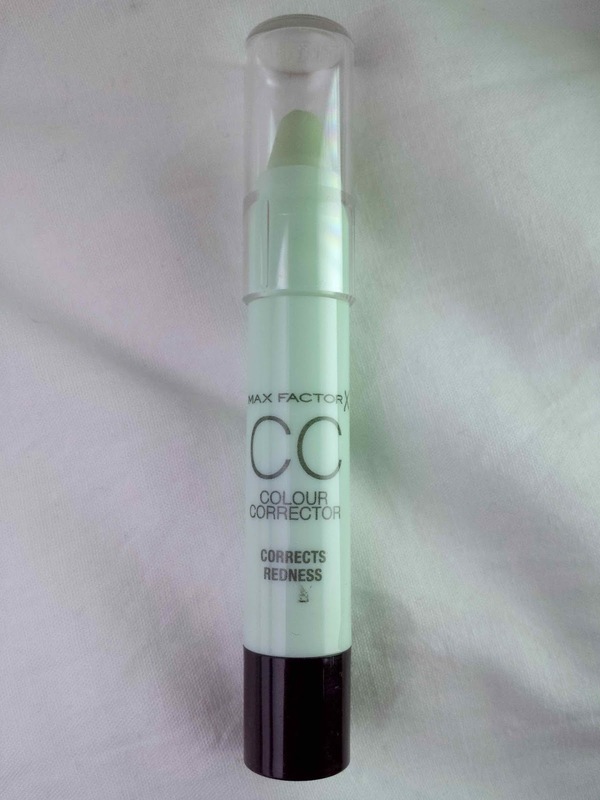 The Max Factor Colour Corrector Sticks are handy little pens to help correct different flaws. From redness to undereye circles, there is a pen for everything. There are five shades in total. 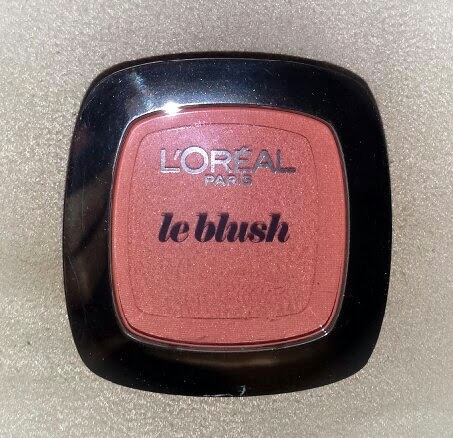 L'Oréal True Match Blush in Peach is a blush that is designed to "brighten your complexion and sculpt your features in one stroke." Each True Match Blush is supposed to enhance your natural skin tone and provide radiance. The Peach shade that I chose is more of an orange type peach rather than pink-peach, but the photographs do look slightly more pink. It comes packaged in a small, square compact with rounded corners. The edges of the packaging are silver and mirror like, but the top of the lid is transparent which enables you to see the product inside. 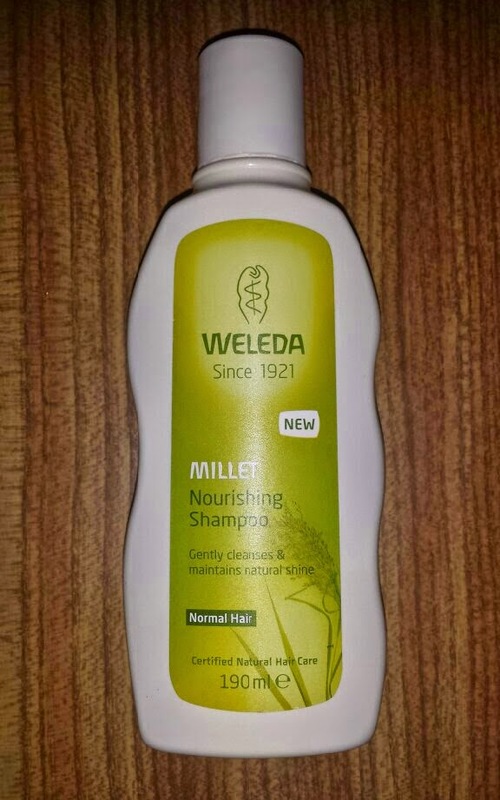 This is also where the product name is displayed. It also comes packaged with a small brush and a mirror inside and on the bottom of the compact. No7 Moisture Drench Lipstick in Chic is a moisturising, hypo-allergenic, fragrance free lipstick in a dark pink-brown/neutral shade that also includes SPF15. It has a long-lasting, semi-satin finish that can also be mattified by blotting on a tissue. 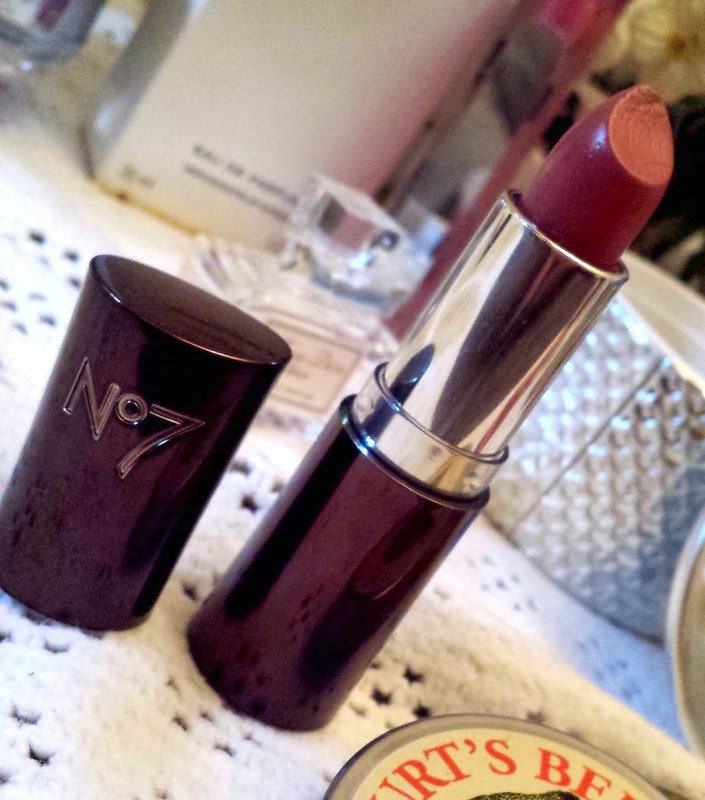 It comes packaged in the standard black and shiny No7 lipstick tube, with the No7 logo engraved on the lid. The Moisture Drench range can be identified by their tubes that are wider at the bottom as well as at the top of their lids, unlike the other ranges that are just wider at the top of the lid. Also, it is part of their core Moisture Drench colour range and not their Match Made service collection. 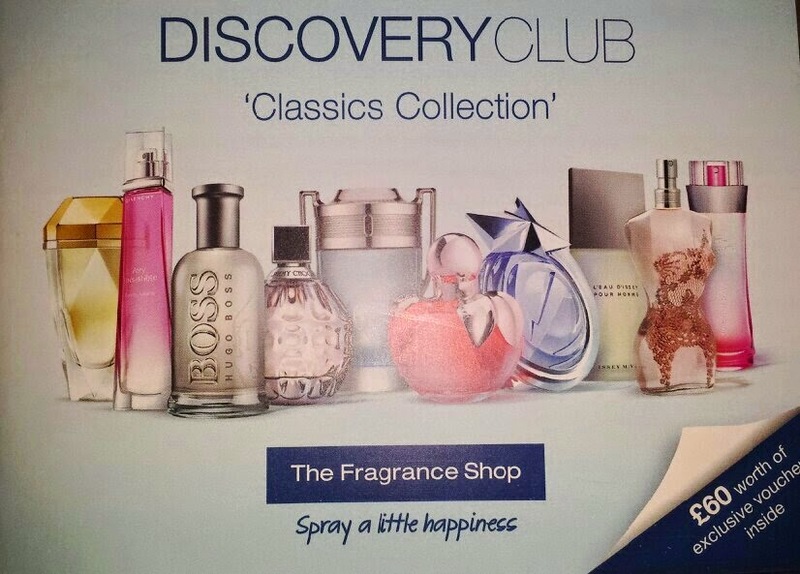 The Discovery Club by The Fragrance Shop is a UK based beauty box that is usually made up of five perfume samples and one or two aftershave samples (this can vary from box to box). It is delivered each quarter and only costs £5 per box, £10 for a 2 box, 6 month subscription or £20 for the year. This latest Discovery Club box has been boosted with a total of ten samples for the festive season, seven for women and three for men, as well as a miniature perfume to celebrate two years of the Discovery Club! The 2014 Winter box is also themed around the classics. 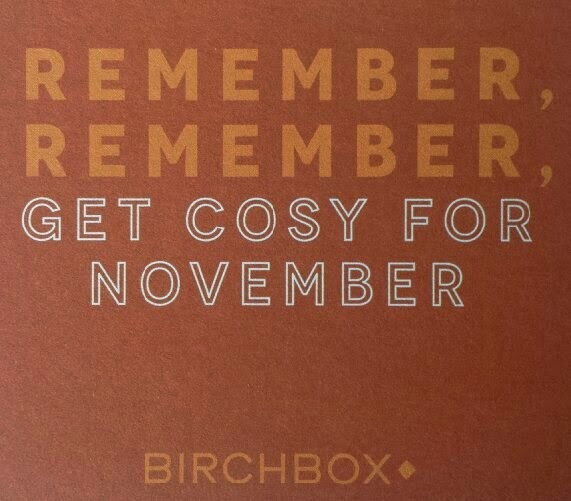 The theme of this box is 'Cosy at Home,' which is precisely what we all crave around this time of year. 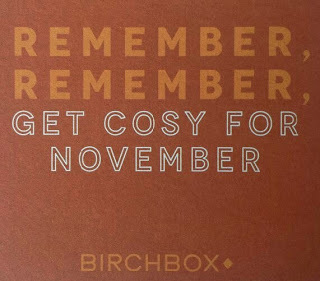 I also think that they've pretty much got the products spot on for the theme, so kudos to Birchbox! Along with this, this box contains two full-size products, so it really feels like a treat. For example, for £12 (the price of the box + delivery), I received a full-size product worth £32 and another worth £11.95. Oily & blemish-prone skin can be a total nightmare to have to live with. You constantly try out different skincare products such as face washes, toners and moisturiers to find your holy grail product, but you may find that time after time you aren’t getting anywhere. Also, when you have less time to spend on things such as makeup to disguise particular skin conditions, clearing up your skin can turn into a real timesaver. Over the years, I have reached my own conclusion regarding skincare for blemish prone skin: what works brilliantly for one may only work out as ‘so-so' for another, and vice versa. I've also learnt that that's okay, but it can take time to discover your personal holy grail product. I have tried out more face washes and treatments than I dare to count. Whilst I found some of them to do virtually nothing for my skin, there were a few that showed some results. These are the products that I have compiled into a list just for you, hoping that you may find your perfect face wash to finally help you get clearer skin! You might have tried some of them, loved them or despised them, but I do think that they are worth a try if you haven't already given them a go. You may find a new favourite, or maybe even your new miracle wash! So here we have it: the Top 6 Facial Washes for Oily, Blemish-Prone Skin. 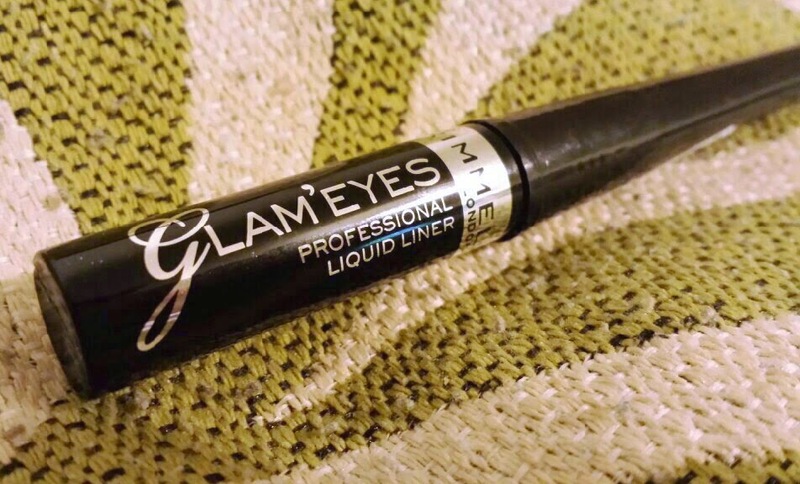 Rimmel’s GlamEyes Liquid Eyeliner is an eyeliner that claims to be smudge resistant and long lasting. It also contains an ultra fine brush for precision lines. The brush can be used to create thicker lines as well as thin lines, meaning that you can create whatever style of eyeliner you prefer. Whilst I was shopping a few days back, I originally went up to a different, very well known brand counter to choose a new eyeliner for my Halloween makeup. However, the assistant actually recommended that I went over to a different shop to purchase a Rimmel eyeliner instead as she thinks that they are better. I won’t drop her in it by naming which brand this was, but it definitely intrigued me enough to take her advice.